TM100 key programmer what advantages compared with the tango? It is a new generation of Key Programmer that named TM100 Key Programmer, which is developed to cover, read, write and generate the latest transponders used in the latest vehicle immobilizer technologies.More features and functions such as reading the Kilometers and BMW software module was upgraded,including VIN and transponder type for all BMW keys,Immo pin code is also displayed for some auto models. With Our Auto key Programmer TM100 Key programmer you can generate images for many different original transponders like Philips ID33, Philips Crypto for different ID’s and Texas crypto.After generating a new transponder with this Programmer, you will not need any additional diagnostic equipment to program the generated transponder to the car.It will start the car directly! All you need to do is write the new file back into the immobilizer system. 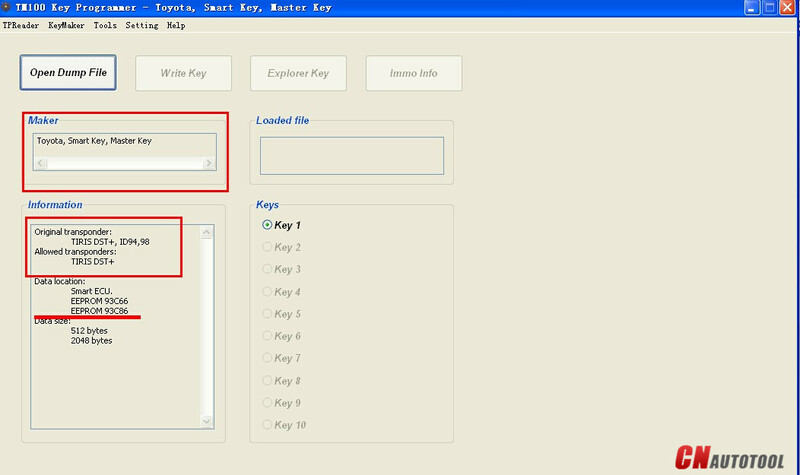 Tango key programmer can produce working keys by eprom dump, identify transponders, clone keys, and much much more. Add additional capabilities as needed by purchasing other software packages. Basic Tango Software now includes these additional features at no extra cost to you.For all owners of our original/genuine TANGO Programmer, you must update your unit eevry time a new update is released by us because if you do not update your TANGO Programmer for more than 3 months then it will lock and you would have to send it back to us for unlocking!